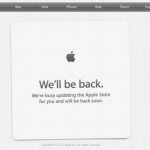 It is unlikely that Apple will launch the new iPad mini this week, and Nov. 29 won’t work because it is Black Friday. Therefore, Nov. 22 is the only date left on the calendar for Apple to pull the trigger and still guarantee a launch this month. In any case, we'll keep you updated on the device's actual release. 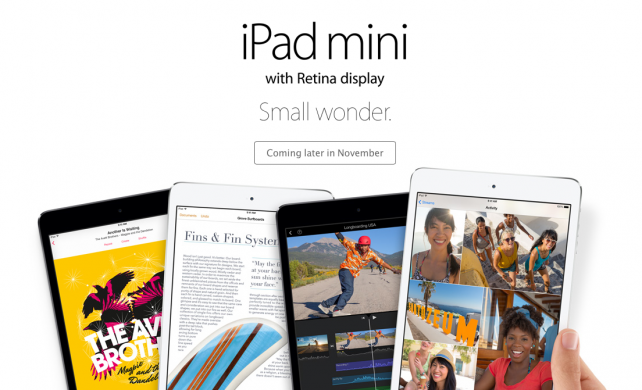 The second-generation iPad mini is nearly identical in external design to the first-generation iPad Mini. 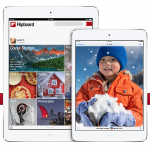 But as its marketing moniker declares, it now features a high-resolution Retina display. Internally, it's nearly identical to the iPad Air as it carries Apple's 64-bit A7 main processor and M7 motion coprocessor. Available in space grey or silver, the iPad mini with Retina display starts at $399 for the 16GB Wi-Fi model and at $529 for the 16GB Wi-FI + Cellular model.